For few months now I've been thinking of my plans in life especially regarding my work. Since our company didn't passed the accreditation on one company that we planned to deal with several projects we're now setting our goals on other successful accreditations we have. It's not that easy changing your plans but we have no choice but to think of more fruitful ways than being depressed on that one. I know we'll be able to make it but we really need time so it's actually a matter of decision from the upper management. We still have regular jobs but I'm really thinking if my current job is really for me as sometimes I can't feel that I'm going to stay longer. I'm also finding myself a little bit uncomfortable like I'm crossing a very tricky bridge when decisions are needed. I always have to ask and most of the times I need the opinion of others. It's ok for me but I feel like I'm not the old person before who can decide on anything and be appreciated on all my works. Maybe I'm missing my former boss or his kind words to me or I'm getting older that I'm being so sensitive. But I really feel it and it's not doing me good, not for my confidence and definitely not for making good decisions for my life now. I'm giving myself in His hands now to give me guidance on making my plans and decisions as I'm not confident in deciding when I'm emotional. 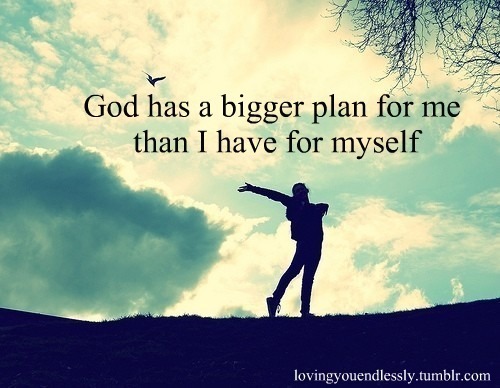 I know he has bigger plans for me than what I'm thinking for myself so I'll wait for the signs and providence.